In honour of Marc Vivian Foé who died while playing in the Cameroon football team, with the Accord Community Gospel Choir. To purchase, please ring 0161 279 7302. On June 26, 2003, Foé collapsed during the FIFA Confederations Cup semi-final between his country and Colombia in the 71st minute, and despite immediate medical attention he died shortly afterwards in hospital. Foé's death caused a profound shock for the entire football world . 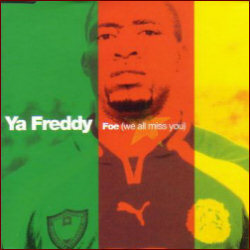 Numerous tributes to the man's joyous personality and infectious humour, including this CD, were expressed in the media.